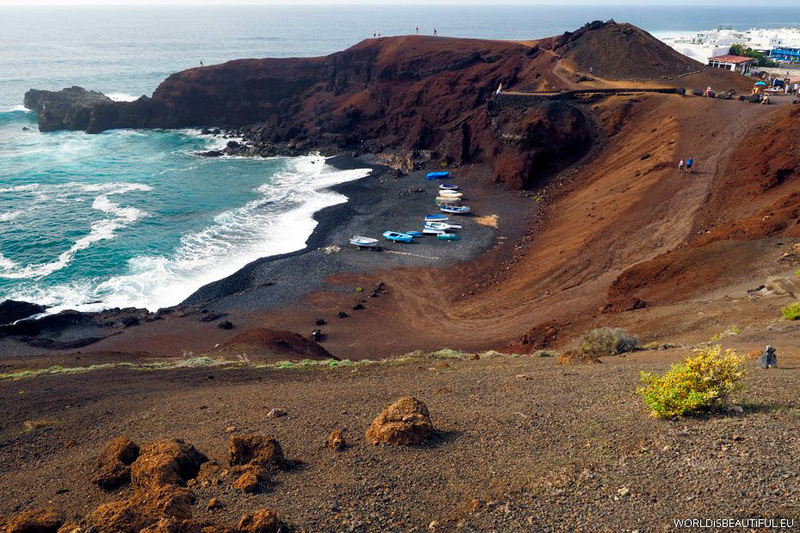 Black beach in the bay at El Golfo. Red rocks, black sand and the incredible color of the ocean. Beautiful views!